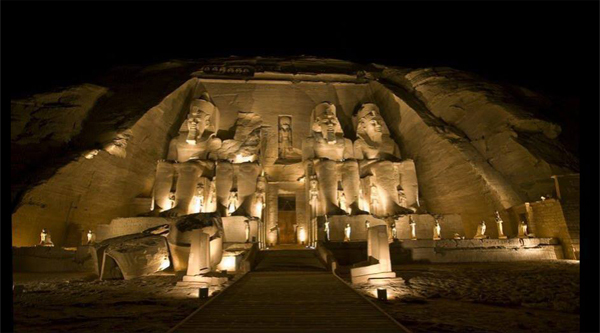 Red Sea Holiday followed by Luxor city exploration, Abu Simble temples visit and Cairo tour from Sharm el Sheikh. 15:00 pm Arriving in Sharm el Sheikh. Meet and assist in the airport. Transfer to your hotel and check in after 3 pm. 09:00 am Free day at leisure. Optional excursions can be arranged. 20:00 pm Transfer to the airport. Flight to Luxor, 50 minutes. Lunch and East bank visit. Overnight in Aswan in 4* hotel. 18:00 pm In the early morning transfer to Abu Simble city. 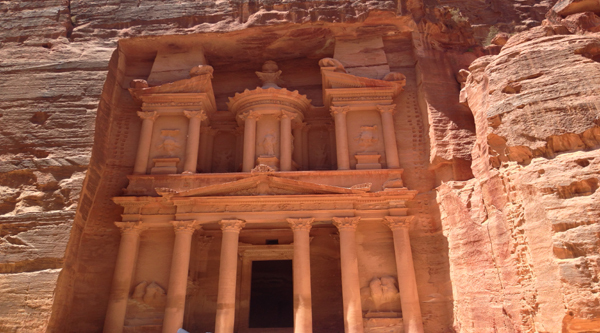 Visit two great temples at Abu Simble. Transfer back to Aswan airport. Flight to Cairo, 50 minutes. Overnight in Cairo in 4* hotel. Arrival Sharm el Sheikh (any day before Wednesday). Meet and assist in Sharm el Sheikh airport. The program can start from any Red Sea destination with some varieties in the program. Our English speaking rep will meet you in Sharm el Sheikh airport upon arrival outside the main arrival hall with the sign "sharm-club.com". Transfer to your hotel. Check in the hotel. Free time at leisure . Tuesday is a free day at leisure on Sharm el Sheikh beaches. Optional tours and activities can be arranged upon request. On Wednesday morning we will pick up you from your hotel in Sharm el Sheikh, transfer by a/c van to Sharm el Sheikh International Airport and fly to Luxor. The flight will take just 50 minutes. Our English speaking guide will be waiting for you outside the arrival hall of Luxor airport with the sign "sharm-club.com". Start your day with the west Thebes visit. Valley of the Kings visit includes entrance to 2 different tombs, so you can get an idea about pharaonic funerary art. Colossi of Memnon & Queen Hatshepsut Temple ( Deir el Bahari temple ) will be visited as well. Lunch in a local restaurant in Luxor on open buffet basis will be offered. After lunch we'll go to the huge temples of Karnak which are considered to be the largest religious structure all over the world. During the day we will have an opportunity for shopping. At the end of the day transfer by a/c van to Aswan, around 220 km. Overnight in a hotel on BB basis there. In the early morning morning transfer by a/c van to Abu Simbel (under convoy). The distance between Aswan and Abu Simble is 200 km, so it may take up to 2,5 hours to reach the place or more as there is a convoy. 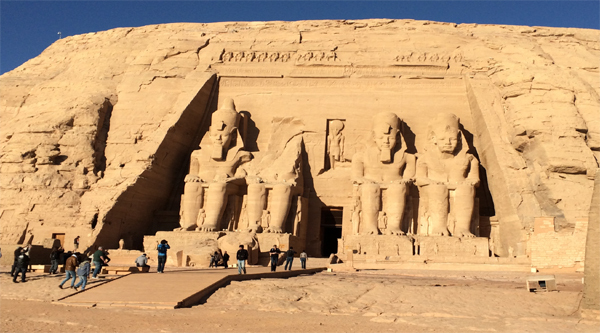 Visit of Abu Simble temples and back to Aswan. In the evening transfer to Aswan airport and flight to Cairo, transfer to the hotel, 4* on BB basis, overnight. Optionally in the evening you can watch Sound & Light show at the Pyramids or take Nile cruise with oriental show and dinner. In the morning pick up from your hotel and transfer by a/c van to downtown where The National Egyptian Museum is situated. The building of the museum is a historical monument itself already, built more than 100 years ago by a French architect it houses the world's largest collection of Pharaonic antiquities, and many treasures of King Tutankhamen. 120 000 pieces are exhibited there and we will visit all those collections, including Old kingdom, Middle kingdom, New kingdom and king Tut Anch Amun collection. We will spend around 2,5 hours in the museum. Lunch will a local restaurant will be offered, you can choose between options available. After lunch we will continue our tour and move to one of the seven wonders of the world: the great pyramid of Cheops, which is situated on Giza Plateau! We will visit other pyramids of the area as well: the pyramid of Chephren and the pyramid of Mycerinus. We will end our tour in Pyramids area after visiting Sphinx and its valley temple. At the end of the day, when we finish our Cairo city tour we will transfer you to Cairo International airport to catch your flight back to Sharm el Sheikh. Our rep will meet you in Sharm el Sheikh airport upon arrival and transfer to your hotel. A massive thank you for the best holiday of our life. You friendly personality and knowledge about Egyptian history made our days memorable and special. 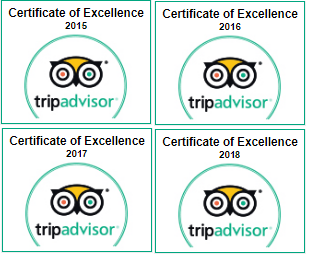 We can recommend this trip to anyone who visit Egypt. YOU as the guide 100%. Well done.